Whether it’s a single property or multiple homes, rental property in probate poses a few concerns. For executors or personal representatives in North Carolina, preparing an inventory of the decedent’s properties should include details such as the items noted below. Each of the following points will help to guide property distribution or transfer options, address income and related tax implications, and calculate estate debt. Discussed below are five issues that must be addressed if a decedent owned rental property. 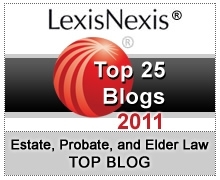 While it is generally in the executor’s best interest to retain appropriate professional guidance to ensure the estate is administered properly, the unique circumstances that often arise with rental property make retaining probate counsel particularly important where rental property is part of the probate estate. Title. The sale or transfer of the rental property will hinge upon how the decedent held title. In some situations, the property may not be a probate asset. (More about estate planning for North Carolina rental properties below.) If the decedent held title as tenants-in-common with at least one other person, the decedent’s interest in the property generally would be subject to probate. In this scenario, the surviving owner would have the option of buying the decedent’s interest by paying the estate; otherwise, the decedent’s interest generally will pass to their beneficiaries under a will or to intestate heirs. If the decedent held title as joint tenant with right of survivorship, the surviving owner(s) immediately receives all property interest upon the decedent’s death and the property is not subject to probate. There are a number of ways to hold title for real property in addition to the examples noted above. Life estate, trusts, limited liability companies (LLCs), and other tools may be used and each requires careful review. Location. If the executor determines that the rental property is subject to probate, the next matter is to consider where the property (or multiple properties) are located. If the decedent resided in a state other than where the property is located, an ancillary probate proceeding must be filed in the state where property is located. Learn more about out-of-state property in North Carolina probate. Income. If the rental property produces income from the date of death until the estate is settled, the income may need to be documented on the Form 1041, Income Tax Return for Trusts and Estates. The executor may be required to collect rental income and ensure that any associated taxes due are satisfied. Debts. Multiple considerations must be made for the debts associated with the rental property: Outstanding mortgage, insurance, property liens or judgments, property tax, and general property maintenance, among others. A number of factors influence whether and to what extent these and other expenses associated with the property may be paid by the executor from the estate. The guidance of experienced probate counsel is crucial to ensure that property is managed and expenses paid appropriately. Selling rental property. If the rental property is located in North Carolina and subject to probate, the executor is not permitted to offer the property for sale until they have petitioned the Clerk of Superior Court for the authority to do so. The only exception made to this requirement is if the decedent had a will that included instructions authorizing the executor to sell the property. Advance planning and regular estate plan reviews can help to prevent problems with rental properties in probate, or allow a property owner to avoid probate of the property altogether. A number of options can help to achieve this. 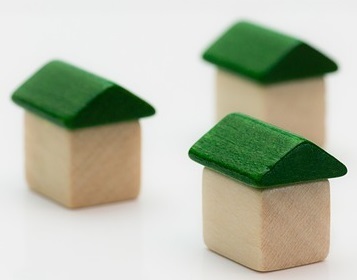 For one, an individual with multiple rental properties can create LLCs to own the properties, and then establish a living trust to own the LLCs. Unfortunately, everyone does not maintain routine planning reviews and this can result in complications in estate administration. Consult a North Carolina probate lawyer with your estate concerns.